Do you have what it takes to answer the wartime Call of Duty? Bust out the big guns today. 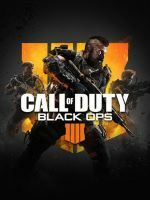 Buy Black Ops 4 CD keys today via PlayerAuctions, as well as WWII and more editions of the game. With us, you won’t have to think twice when letting your trigger finger loose. We guarantee the safety, security, and ease of player to player transactions. Play COD? Buy Call of Duty’s Steam Keys Today! A lot of first-person shooters have come and gone, but Call of Duty seems to get more and more refined with age. In its upcoming installment, it goes into the multiplayer and battle royale mode. This is the new face of armed conflict, this is Call of Duty: Black Ops IIII, the 15th installment in the COD series. The fifth entry in the Black Ops subseries is expected to hit the markets on October 12, 2018. As the COD enthusiasts from all over the world await the new version, keep an eye out for CD Keys on PlayerAuctions to ensure that you won’t miss out the epic war frenzy that unleashes this fall. Unlike the previous COD versions, this game will not feature a single-player campaign. Instead, it offers Multiplayer, Zombies and Blackout (Battle Royale) mode. Having returning characters including Ruin, Prophet, Battery, Seraph, Nomad, Firebreak; and maps like “Voyage of Despair”, “IX”, “Blood of the Dead”; the game is sure to satisfy all your gaming desires. The latest installment of COD, which was released in November 2017, takes you back on a ride to the epic World War II. Unlike the futuristic COD: Advanced Warfare, the game lands you directly into the “Operation Overlord” as you control Ronald “Red” Daniels of the 1st Infantry Division. It became the highest grossing console game of North America, with a revenue over $1 billion. Being the latest COD release, the players across the globe are on the lookout for the CD & Steam Keys, so find the ones that suit you on our platform. The game was positively reviewed as a campaign that "salutes the brotherhood that grows and strengthens on the battlefield" according to GameSpot. Call of Duty: Black Ops III, a first-person shooter video game, is the sequel to the 2012 video game Call of Duty: Black Ops II. It was released on November 6, 2015. Black Ops III takes place in 2065, 40 years after the events of Black Ops II, in a world facing upheaval from climate change and new technologies. As the COD fans await Black Ops IIII, they are sure to satisfy their thirst on its prequel. The game, being a Call of Duty title, incorporates many familiar elements from the franchise. However, to say that it's simply a mid-21st century reskin of Modern Warfare would be wrong because, as well as the difference in the setting, the game's system has been heavily reworked. Other than the change in setting and system, the game has many distinctions that set it apart from the Modern Warfare games, and most of them are brought about by the game's milieu. The game reflects the fact that technology changes the way we live, so it fully utilizes the technologies found in the time period it is set in, making them seamlessly integrated to the gameplay mechanics. One of these would be the fact that players can now choose from a wide variety of weapons. Other than conventional ballistic firearms, they can also go for laser or directed energy weapons. In addition, players have access to equipment such as the EXO. Other than Multiplayer and other modes, the Campaign mode is also coming back. This time around, players are thrust in a conflict-rife real-world based setting, set a few decades into the future: 2054-2061. During those years, private military contractors have become as powerful as the military forces of some nations. Some of them are even more powerful, and the most powerful among those is Atlas Corporation. Joining its ranks is Jack Mitchell, a former US Marine who lost his left arm and best friend Will Irons during a military operation in South Korea, becoming one of its foremost operatives. Call of Duty: Ghosts, set in a near future that follows the nuclear destruction of the Middle East, was released in November 2013. Ghosts received positive reviews from critics, with most praising its multiplayer gameplay and introduction of “Extinction”, a new game mode. The game attracted an audience as high as 37,000 players playing simultaneously. The ninth game in Call of Duty Franchise has a campaign mode that is set in two time frames: late 1980s and 2025. It features a non-linear gameplay and various endings. It was the first COD game to feature futuristic war technology. The game gained most popularity because of its branching storylines depending upon the player’s choices. With its solid gameplay and setting, it shouldn't come as a surprise that Call of Duty is one of the most popular and most sought-after games on the market. So if you're looking for Call of Duty digital codes or CD keys for this game, you can always check the worldwide web for a copy. But why take the risk in looking for a safe site if you can just come to us, PlayerAuctions? PlayerAuctions is a player-to-player online trading platform. 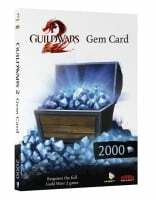 Through us, you can buy a Call of Duty CD key from your fellow gamers for any consoles or expansions you want – covering various installments of Call of Duty. To ensure that your transaction is safe, we have the PlayerGuardian system in place. And to help you find a trustworthy seller, you can refer to our five-tier PowerSeller system and see which of our sellers have the best on-site reputations. And lastly, to help you in case you encounter a problem, you can contact our Customer Support team, which is available 24/7. The face of war has changed. Don't get left behind; answer the call of duty.